The foreign minister said that Ukraine managed to survive in this war. Foreign Minister Pavlo Klimkin has said that over the past four years, Ukraine has made significant progress in confronting the hybrid war. 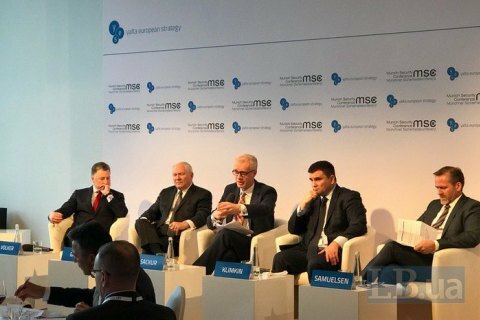 He said this at the second Ukrainian lunch in Munich, "Ukraine on the Frontlines of a New Kind of Warfare: Lessons for the West, and Prospects for Peace", which took place as part of the Munich Security Conference. "There is much to learn from us in terms of confronting cyberattacks, propaganda, Russian terrorism, Russian attempts to undermine the situation from the inside," he said, answering the question whether Ukraine managed to learn to confront hybrid threats from Russia.